The CorelDraw Graphics Suite comes with cutting-edge features to help you create beautiful designs, graphics, photos, and websites with both ease and confidence. Tablet Mode support makes it easy to create quick adjustments using touch or a stylus. The new Touch workspace maximizes the size of your drawing window by displaying only the tools and commands used most often, plus you can pan and zoom with a single gesture. 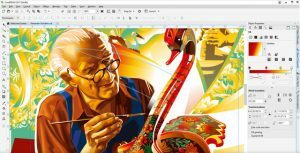 CorelDRAW Graphics Suite 2017 lets you seamlessly import CorelDRAW and Corel PHOTO-PAINT workspaces that were created in versions X6, X7, and X8. You have the flexibility of importing some workspace elements and excluding others. You also have the option of adding them to your current workspace or creating a totally new UI configuration. And choosing which workspace elements to import or export is faster than ever. CorelDRAW Graphics Suite 2017 offers native Microsoft Surface Dial support on Windows 10. Use the CorelDRAW and Corel PHOTO-PAINT applications in the suite, to experience one of the most unique ways to create and interact with technology. Get the power and stability you need with full support for Microsoft Windows 10 and discover how its innovative features can augment your graphic design software experience, plus enjoy existing support for Windows 8.1, and 7. 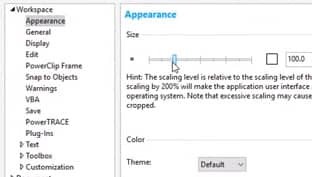 Expand your design program’s compatibility options with the latest file formats, including AI, PSD, PDF, JPG, PNG, SVG, DWG, DXF, EPS, TIFF, DOCX, PPT and more. Take advantage of the new multi-monitor viewing and 5K displays support. 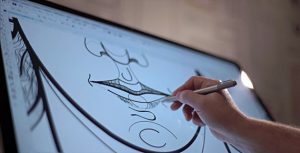 Work quickly and efficiently with the added control from the Windows Real-Time Stylus pen-compatible tablets, such as the Microsoft Surface, in addition to the Wacom tablet and devices. Explore, handle and organize fonts with the new Corel Font Manager to satisfy all your typeface needs. 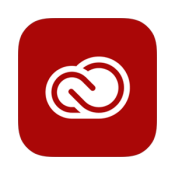 Manage your typeface and font collections with ease, and use fonts without having to install them. We’ve got you covered for every profession that uses fonts daily, from graphic design, publishing and illustration, to package design, sign making, advertising and website design. Save valuable design time with the enhanced font filtering feature. Quickly find the specific font you need without spending time searching in multiple folders. For example, if you’re looking for a typeface that has a handwritten appearance, you can do a quick search for “script fonts.” The font list will automatically update to show all the fonts on your machine that match that search. Explore the Gaussian Blur lens, featured within Corel PHOTO-PAINT, to adjust the degree to which the drop shadow feathers at its edges so you can control the perceived distance and size of objects against the background and other elements. Improve your favorite photos with powerful new tools to correct and edit in a variety of ways. Try the new Healing Clone tool to remove imperfections by blending them with surrounding colors and textures. 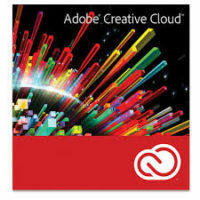 Explore the many professional photo-editing tools within Corel PHOTO-PAINT. With the enhanced Straighten Image dialog box in CorelDRAW and Corel PHOTO-PAINT, you can now correct perspective distortions in photos that have straight lines and flat surfaces such as architectural photos and photos of buildings. Be productive immediately with a workspace that matches your workflow needs. Simply adapt your design space by changing the appearance of your commonly used elements: alter the desktop and window borders color, customize the icons and text size. Work your way! The new Border and Grommet dialog box lets you create a banner from a page or from selected objects on a page. Whether you work on small-scale projects, such as logos and web graphics, or larger pieces, such as banners and car wraps, CorelDRAW will deliver the output you need. Create your own automation tools with support from the new CorelDRAW & SDK Developer Community site: community.coreldraw.com/sdk. Explore a variety of useful resources for this design software, including in-depth programming articles and fully searchable API references, which can help you automate tasks with macros and create custom tools. Expand your collection of creative tools by downloading applications, plug-ins, and extensions directly from within CorelDRAW and Corel PHOTO-PAINT. 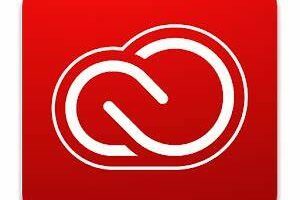 You can download your free license of Corel Website Creator, purchase AfterShot Pro for the ultimate RAW workflow, experience Corel ParticleShop for amazing bitmap effects, and more. Whether you’re a seasoned graphic professional or an aspiring designer, you may want to learn a new trick. We’re here to help with our growing library of dynamic learning materials, including video tutorials, webinars and insights from the experts. Plus, our CorelDRAW Hints offer training videos and tips from right within the application. Keep your designs fresh with more than 10,000 royalty-free clipart and 2,000 high-resolution digital images, 1,000 TrueType and/or OpenType fonts, 350 professionally designed templates, 500 frames and patterns, over 600 Fountain Fills and more—all included with this graphics software. Our flexible tools and settings reflect your natural workflow, so everything is right where you need it, when you need it. Choose between Lite, Classic or the Default workspace to get started smoothly, then use the new quick customize feature to tailor your toolbox and property bars to suit your needs. Several pre-defined workspaces are available to help keep all the tools specific to your industry organized and easily accessible. Choose between Page Layout, Illustration, or set your workspace to look like Adobe Photoshop or Illustrator to help ease the transition from Creative Suite. We’ve created our most powerful fill engine ever, giving you complete control over your fountain, bitmap pattern and vector pattern fills. Create elliptical and rectangular fountain fills, control transparency within the individual colors of a fountain fill, repeat a fountain fill within an object and more. Find the perfect font for any project. The Font Playground lets you preview and experiment with different fonts before bringing them into your design. Plus, the revamped Insert Character docker automatically shows you all the characters, symbols and glyphs associated with your font, making them easier than ever to find and insert. Make sure every element on the page is right where you want it with enhanced layout features. The Alignment Guides help you position objects quickly, appearing on the fly with suggested alignments to other nearby objects. The Outline Position options let you pick whether an outline is positioned inside the object, outside the object, or an equal combination of both. Explore the new Content Exchange*, an online repository that’s fully integrated with the suite’s applications. Share fountain, bitmap pattern and vector pattern fills with our community of users from right within CorelDRAW. Get inspired, showcase your handiwork and up-vote the ones you like best. Create beautiful text with advanced OpenType typography features, such as ligatures, ornaments, small caps, swash variants and more. This design program is ideal for cross-platform work, OpenType offers comprehensive language support, allowing you to customize characters to suit the language you’re working with. The Object Styles docker simplifies the creation, application and management of styles. Take advantage of Style Sets that make it easier to apply consistent formatting across multiple objects, produce iterative versions, and format whole documents quickly and consistently. Easily create a complementary color palette for your design. The Color Harmonies tool combines Color Styles into a Harmony, allowing you to modify colors collectively. It also analyzes colors and hues to deliver complementary color schemes—a great way for you to satisfy clients with variety! Creating complex layouts and designs is easier than ever with enhancements to well-loved page layout tools. Reserve a place for text or graphics with an empty PowerClip frame. Use the Placeholder Text tool to mock up a page layout and get a sense of how the text will look. Plus, easily add page numbers with automatic page numbering. Control color consistency across different media and create a distinct color palette for each document. The color management engine includes greater color accuracy, plus support for the latest color profiles from PANTONE. Reduce costly reprints by knowing that your colors are accurate before you print. Develop captivating web content and graphics with CorelDRAW’s collection of web graphics tools. The Pixels mode shows you exactly how your content will display online, and the Export Dialog box lets you compare file formats before export, so you can optimize your settings to achieve the highest file quality. Don’t waste precious time converting bitmap images into vectors. 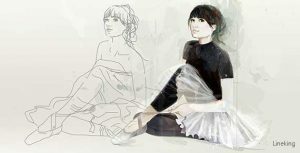 The advancements to the built-in Corel® PowerTRACE™ engine provide the best tracing results yet and turn the most demanding bitmap images into high-quality vector objects. Find content quickly using Corel CONNECT, our built-in search tool that helps you browse and locate your assets, then organize and group content by type or project. You can sync your trays with Microsoft SkyDrive, so you always have access to the latest versions of your projects from other computers and mobile devices.